Here are some tips to follow if you are out and about. Stay alert – awareness is your best defence. Try to stay in well-lit areas. Be confident – even if you don't feel it. Travel as if you know where you are going. Trust your instincts – if you think something is wrong then act on it. Have your keys available when you reach your home or car. Keep money for taxis – the expense is worth it. Carry a personal alarm and use it when necessary. In an emergency dial 999 or 112. Make as much noise as you can to alert people. As soon as you can, go somewhere you know is safe. If you have been attacked, don't shower or change your clothes as it may destroy evidence. If you have the confidence, tell the police why you think you were attacked. If you have had your keys taken, ensure you change the locks. Don’t drink alcohol – you need to give a clear account of what happened. 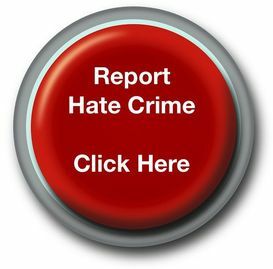 Use the reporting systems to report the incident if you do not have the confidence to tell the police. If you want to stay anonymous, call Crimestoppers on 0800 555111. Use a third party reporting centre, the self-reporting form or the online reporting facility on this website. Let the police know what you've seen. Don't assume others will come forward. Many crucial witnesses walk away thinking someone else will report it. Don’t physically intervene – you could get hurt yourself. If it is safe to do so, take a photograph or video on your mobile phone. Remember, however, that the police are likely to need your phone as evidence. Record details of times, number plates, descriptions and so on. If you don't have a pen with you, leave a voicemail message on your mobile phone or write a draft text message. As soon as you can find a pen and paper, write down the information in as much detail as possible. Or use the self-reporting form or online reporting facility on this website. The Internet provides endless opportunities to meet people from all over the world. You must however remember to use common sense. It is easy to get swept-up into a fantasy world, but reality requires us to use caution. Do not give out personal details, photographs, or any other information that could be used to identify you, your family, or where you live. Do not take other people at face value - they may not be what they seem. Never arrange to meet someone you've only ever previously met on the Internet, without telling a friend and giving them as much detail as possible about the person that you're meeting and where. Do not open an attachment or download a file unless you know and trust the person who has sent it. Never respond directly to anything you find disturbing when using the Internet or email. Log off, and report it.